The guiding principles of the Canadian Soccer Excel program is on “achieving technical perfection” by developing players across four areas of development: physical, technical/tactical, mental, and social/emotional. In this webinar, Dr. Tracy Vaillancourt focused on the social/emotional development of youth and highlights how proficiency in this area has a direct impact on player performance and retention. Dr. Tracy Vaillancourt is a Canada Research Chair in Children’s Mental Health and Violence Prevention at the University of Ottawa where she is cross-appointed as a full professor in Counselling Psychology and the School of Psychology. 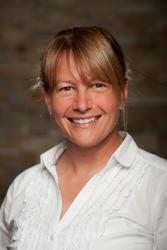 She is also an elected member of The College of the Royal Society of Canada. Dr. Vaillancourt's research examines the links between bullying and mental health, with a particular focus on social neuroscience. She is currently funded by the Canadian Institutes of Health Research, the Social Sciences and Humanities Council of Canada, and the Ontario Mental Health Foundation.